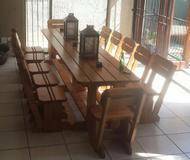 Perfect for the home or for your restaurant or pub, this 12-seater wooden dining table is made for the festive environment. Enough space to sit big groups of people, it brings people together in comfort and style. 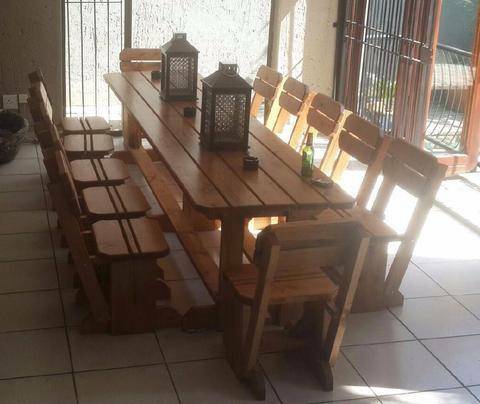 If you're looking for outdoor restaurant furniture, this 12-seater table is a great option as it weathers the climates very well. It is strong, sturdy and needs little maintenance over time. Add it to your enquiry.